The “real” job limited my plane chasing today but I still managed to catch a few decent shots. 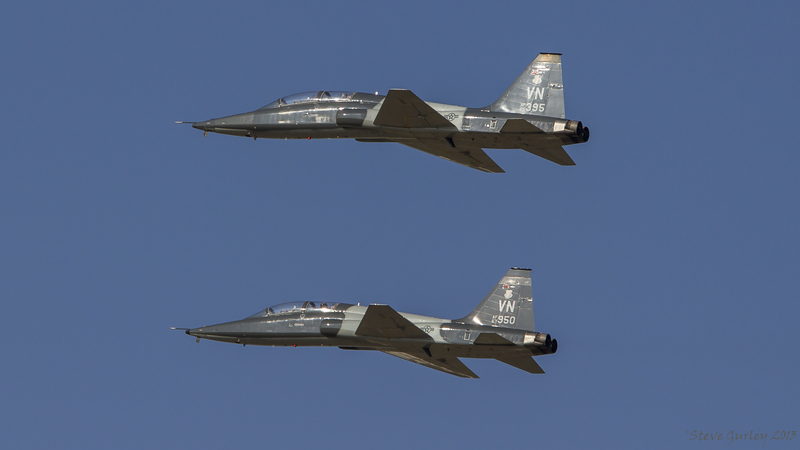 The morning started over at Alliance where a slew of T-38’s were having a parade. The only ones I shot were the ones that stayed in formation only because Mr. Kemper said he wanted to see some! I ran over to Navy around 10:30 and caught a few SPADS leaving. I heard something today on the radio for the first time…”Beast 21 to ops… Beast 21 go ahead… Beast 21 code 3 object dropped”. 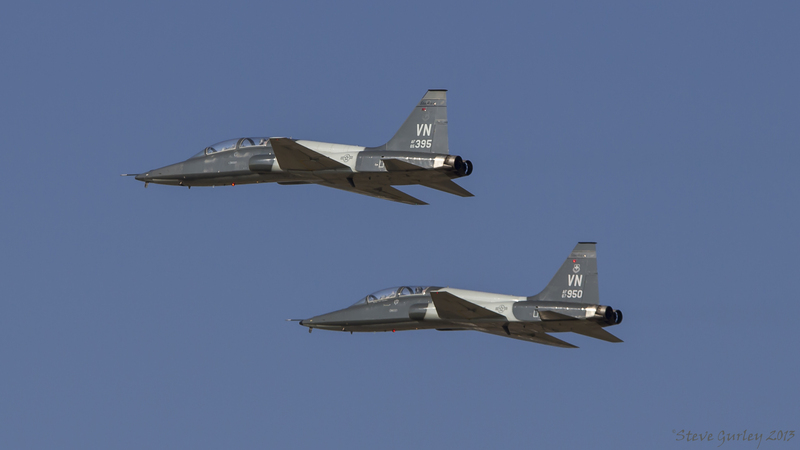 I assumed they were just reporting dropping something @ Falcon Range since that is where they had gone today. Nope, I was wrong. As I continued to listen it turns out that something actually fell off of the plane about 8 minutes after leaving Navy… Something called a static wick. After texting with Jeff, a SPAD pilot he let me know that this isn’t quite as unusual as you’d think. And good to know that it wasn’t a missile. 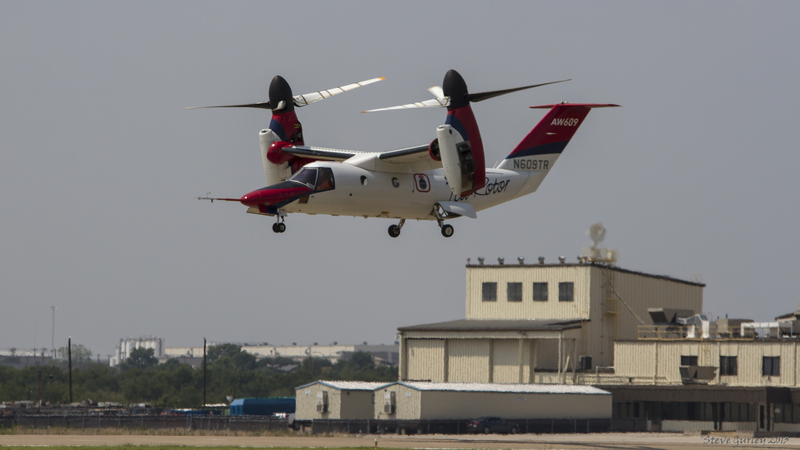 After that short lived drama, got word of another first for me… The Augusta Westland 609 “Tilt-Rotor” was flying at Arlington Muni. Having never spotted there I was a bit uncertain as to the better locations. But it was easy to figure out. 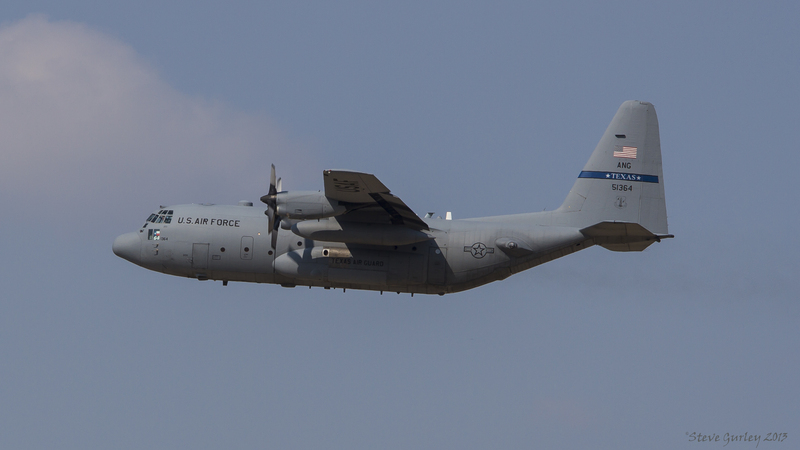 Now I know it isn’t military, but what a cool bird! 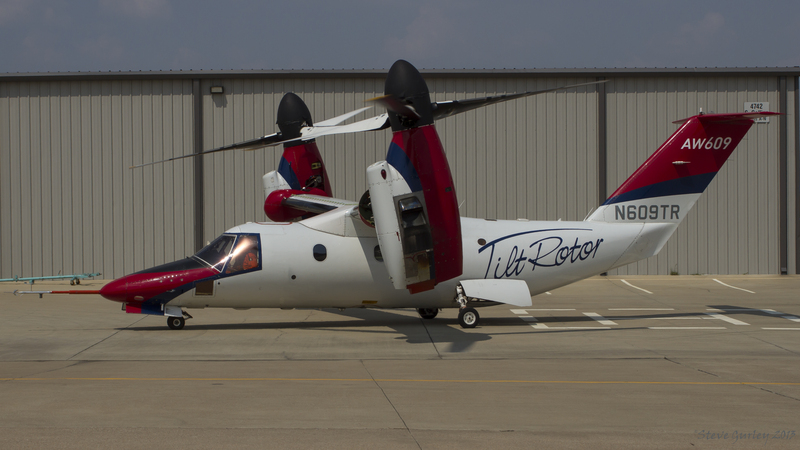 This civilian tilt rotor comes with a pressurized cabin and they were testing it out today. Flying with an Eclipse 500 chase plane they quickly climbed to 27,000 feet and cruised around 280kn down to Waco, made a few loops out around Cleburne and were back in a little over an hour. While standing next to the ramp, I had a nice conversation with the security gentleman and he informed me that they are going to be flying it no less than 6 times a week. But after a little research on Flightaware and FlightRadar24, I found out that they flew 3 times today. Also notice, the pilots have an Italian flag on their flight suit. Makes sense being the only other 609 flying in the world is in Italy. 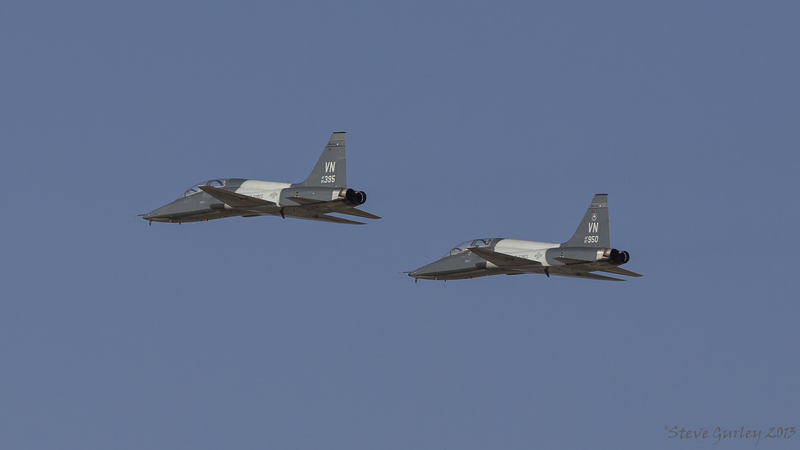 So, a neat day for new stuff but not quite as much jet noise as I typically prefer! Enjoy! Hmm! 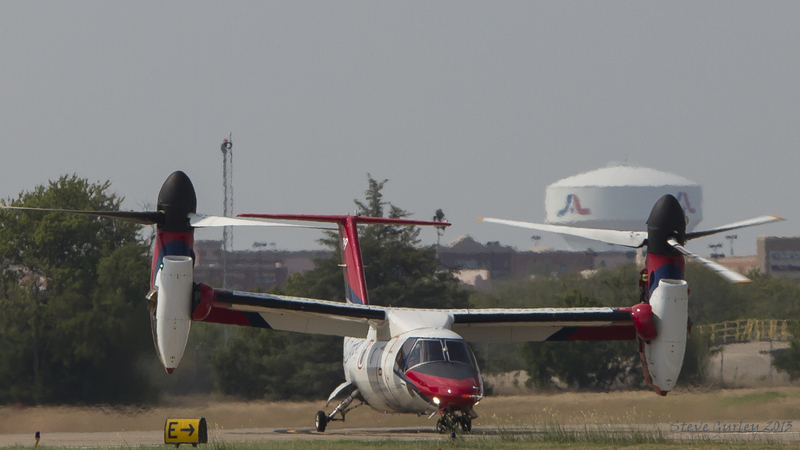 I use to fly off Arlington Muni… and looks like there is lots of Bell traffic…need to put Arlington in my spotting trips in future, .nice catch on the tilt rotor Steve.